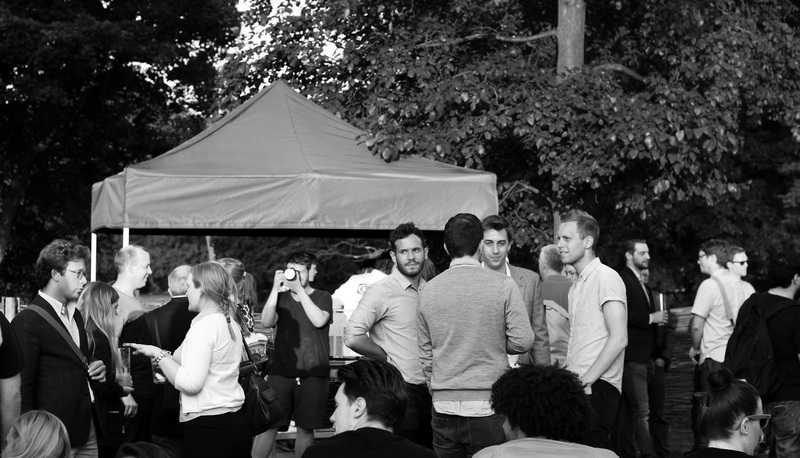 Yesterday evening I attended the Rekorderlig Midsummer house in Victoria Park. Although the weather was pretty overcast it was still warm enough to sit outside, have a drink and enjoy the event. 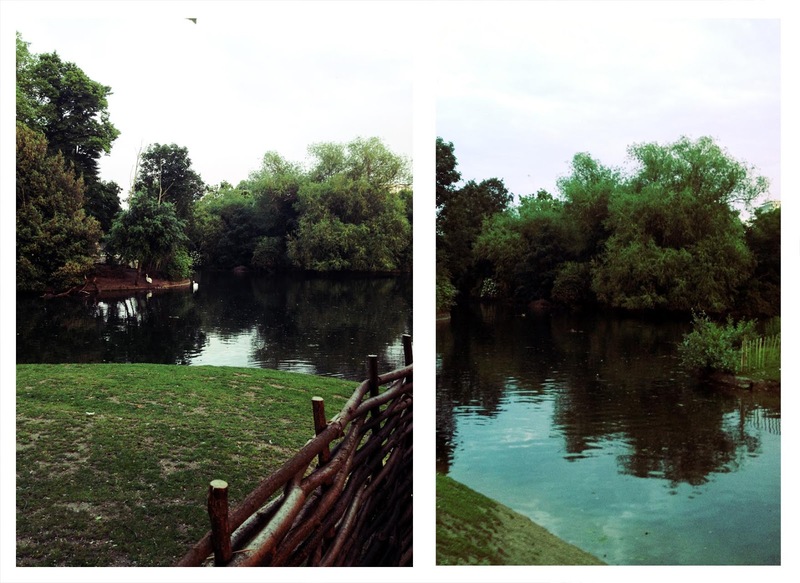 It was set in the idyllic Victoria Park, East London and had a pop up Swedish style house were you were able to enjoy a cocktail inside or out. My favourite cocktail was the Rekorderlig Svenska Cup, which is was made from Rekordelig Strawberry-Lime, Vodka, Elderflower and lime juice topped with cucumber and strawberry's. When I first heard that they were making cider cocktails I wasn't entirely sure if it would work, but this one definitely did! If you're able to go to the event I would highly recommend trying this one, it was so fruity and refreshing. The night wasn't just about cocktails, they also were launching their new passion fruit flavour which got a big thumbs up from me as I'm a huge passion fruit fan. There was also a cocktail making demonstration, a live performance from Nina Nesbitt and Scandinavian chefs The Disappearing Dining Club Served up a special menu of "Korv med brod", which is a type Swedish style hot dog. 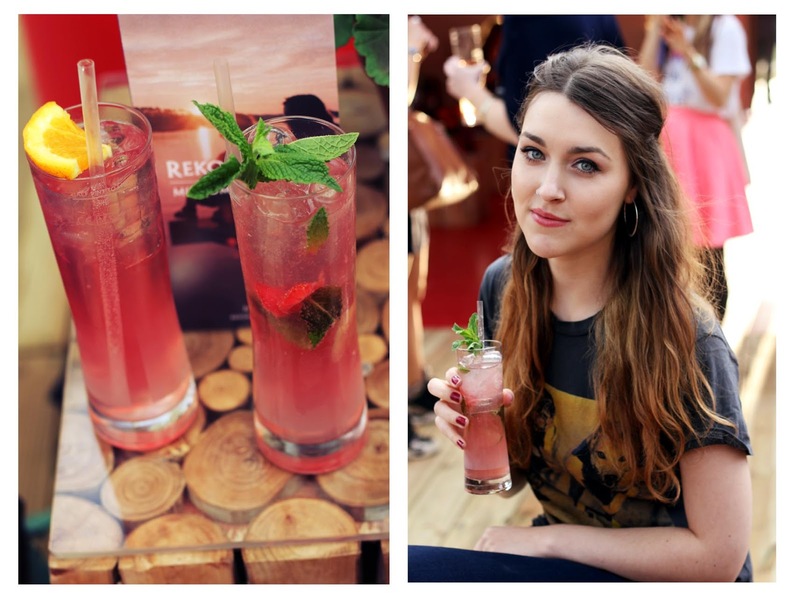 "My family live over in Sweden, so to come here and play a gig for Rekorderlig is like going back home. They've made it into a Swedish kind of Stuga house for Midsummer - it's cool! It's really great to be celebrating Midsummer which is a tradition for me and my family. I played a garden gig in the middle of Stockholm for some fans in a similar kind of setting so it's cool to do that in the UK. I love that they do the different flavours, it's really refreshing. Festivals and fruity drinks is summer for me, and Rekoderlig combine into their cider which is great, it's kind of like a summer twist on cider. I'm looking forward to playing T in the Park and V Festival. Boardmasters will be good cause it's on the beach. I'll get to go surfing for the first time! I'm looking forward to all of them really no matter how big or small. And i'll definitely be drinking fruity cider all the way! It's about me working in retail shop and hating it and not knowing where I was going to end up or what I was doing. It's about finding your way. It's also about having a dream from when you were really young (mine, to be a singer/songwriter) and then growing up and feeling like society is telling you it's a stupid idea or it can't happen because you should go to university to be safe and get a job just to make a living, but if I hadn't taken the risk of giving up everything for what I do now I wouldn't be here!" If you want to go the event for yourself, tickets cost £10 and it entitles each person to a complimentary Rekorderlig Cider of their choice (I went for their new Passion fruit one) and a Swedish BBQ tasting bite, you can purchase your tickets from their facebook site here. P.S Don't forget to follow my blog on Bloglovin' before GFC goes! 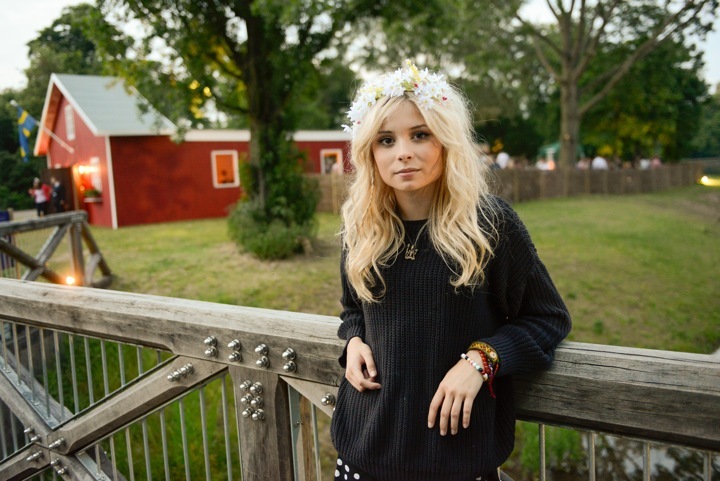 NINA NESBITT!! i love her!! seriously love her music! ever since she released The Apple Tree. She was great live! Thanks, I didn't actually take the one of nina I wish I had! Hi ! :) I nominated you for the Liebster award because I love your blog ! Aw thankyou that's very kind! Thank you so much, such a lovely comment. I'll check yours out! It was great! I'd highly recommend it! You have the prettiest features. Your photographs are so pretty. This looks like the perfect evening setting. I love how green England is. Thanks, for such a lovely comment!